Is Shabby Chic Still in Style? The last few years have seen a huge surge in the popularity of farmhouse style, but what about previously popular decorating trends like shabby chic. Is it still in style? 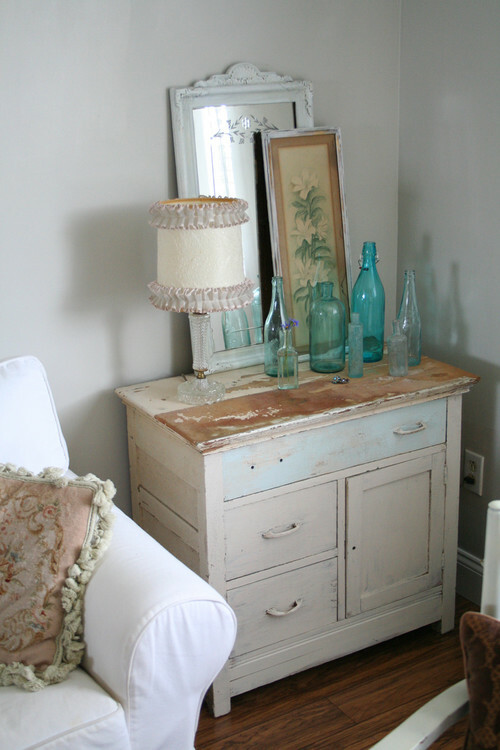 Shabby chic is defined by layers of worn paint on furniture and simple fabrics like cotton and linen. Colors are typically soft and feminine with plenty of ruffles and romantic touches. 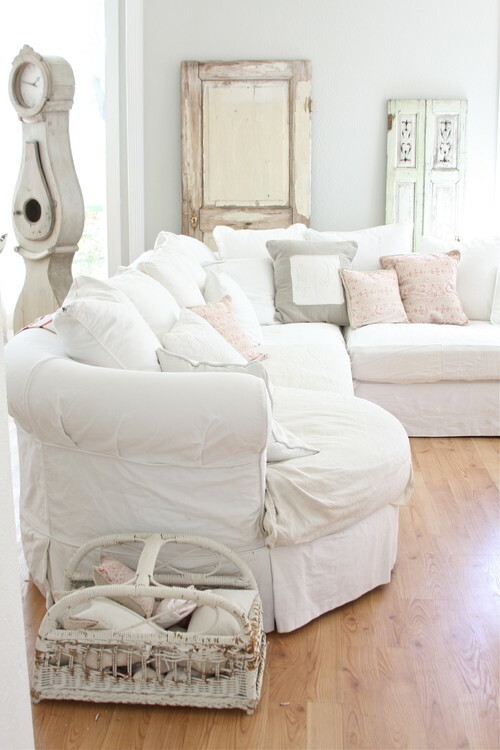 White, casual slipcovers are a main staple of shabby chic furnishings. Wood furniture pieces have original, chipped and peeling paint – or are newly painted and distressed to look old and vintage. Shabby chic style began in the United Kingdom back in the eighties. Designer Rachel Ashwell coined the term “shabby chic” to describe her decorating style and eventually trademarked the term. Creams and whites often pair with natural wood in a more elegant shabby chic room. 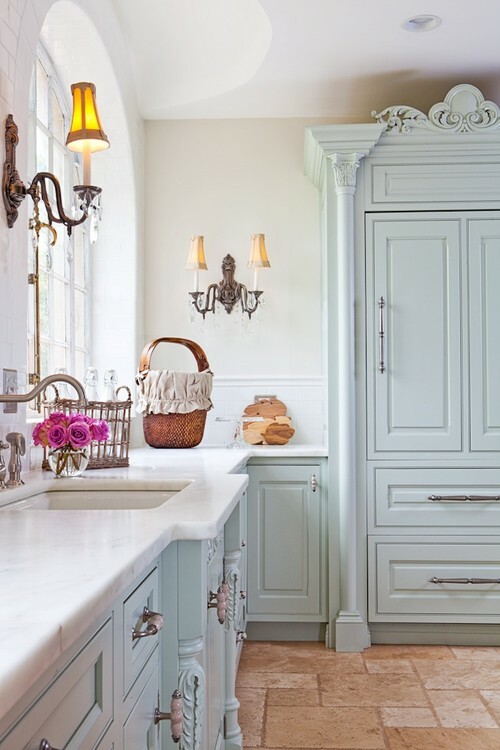 In the kitchen, pastel-painted cabinets pair with vintage lighting to create a shabby chic vibe. To be true to the decorating style, the cabinets should’ve been slightly distressed. 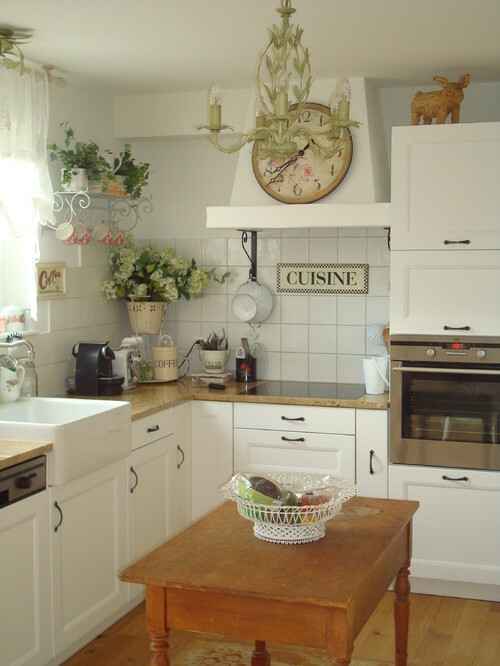 Romantic pieces like a graceful iron chandelier and a wrought iron shelf add femininity to a shabby chic kitchen. You’ll often see flowers or flower-patterned wallpaper used to create a shabby chic look. Soft fabrics draped here and there lend shabby appeal. Note the table lamp at left dripping with crystals. You’ll often find glamorous chandeliers paired with rough-and-tumble furniture pieces. You’ll often find French influences in romantic shabby rooms. Ruffed linens at the table are a staple of the style. Floral fabrics blanket a soft and feminine bed. 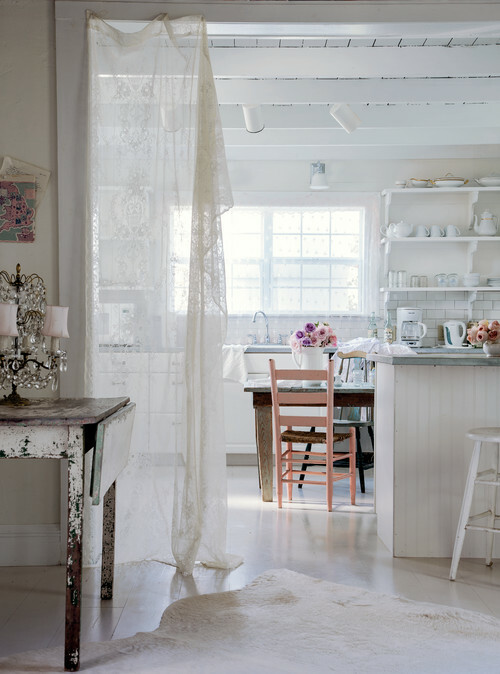 Shabby chic style is sweetly appealing to many. 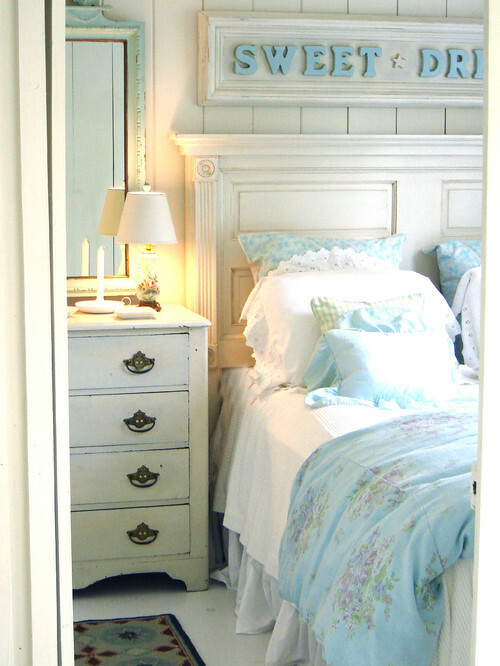 A sophisticated take on a shabby chic bedroom eliminates ruffled linens but stays true to a white and creamy palette. Flowers are always a popular choice with a shabby or prairie style. Sweet and simple. 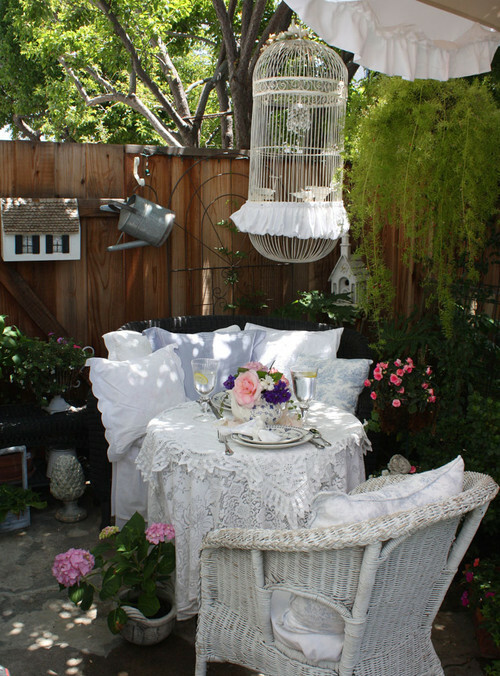 Shabby chic style extends to outdoor living spaces, creating an element of magical whimsy. A small ruffled lamp, vintage mirror and wall decor, stand proudly on a dresser with missing handles. 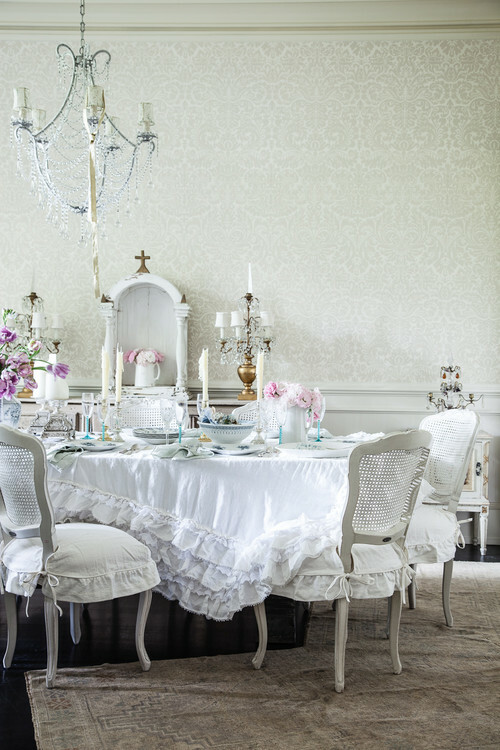 That’s the beauty of Rachel Ashwell’s style. It doesn’t have to be perfect. You’ll even find a bit of elegance like this French-inspired bedside table. So what do you think? Is shabby chic still in style or is it being edged out by other decorating trends like less feminine farmhouse decor? Yes, and I think that Shabby Chic crosses over well to farmhouse style. It’s a dressier version of it! I still like it, except for the ruffles. Those should be kept to the bedroom or bathroom, if you have to have them, IMO. And I think it’s more updated if there is some color, however soft. Call it what you will, I love it ! I was married back then also, and I think that we didn’t have the availability of great things (think Home Goods) like we do now. I love shabby chic, but it needs updating like all other styles. I have had quite enough of brown furniture too. I always enjoyed elements of it, but Rachel’s look was always a little too over the top for me. But I always said surround yourself with what you love. I don’t worry about what’s in. I still love elements of it mixed with farmhouse. Some of the shabby chic is okay, but too much of it just appears old and tired. I grew up poor and in a small house with several children, so most of our furniture was “shabby” and not by design. For me, it’s too fussy and too difficult to clean. Give me a nice non-chippy surface anytime. I really do think some of our decorating preferences come from how we grew up. I can now appreciate the history of the old Hoosier cabinet with the built in flour sifter and pull out workspace that we had in our otherwise less than modern home. However, I can also appreciate the fact that my hardworking mother would have traded it in a heartbeat for cabinets, countertops and modern appliances. I think shabby chic still a valid “style” but I think the difficulties of maintaining it as it was originally intended has evolved it into the farmhouse style we see so much of today. I still love it! All of the images you shared are just beautiful! 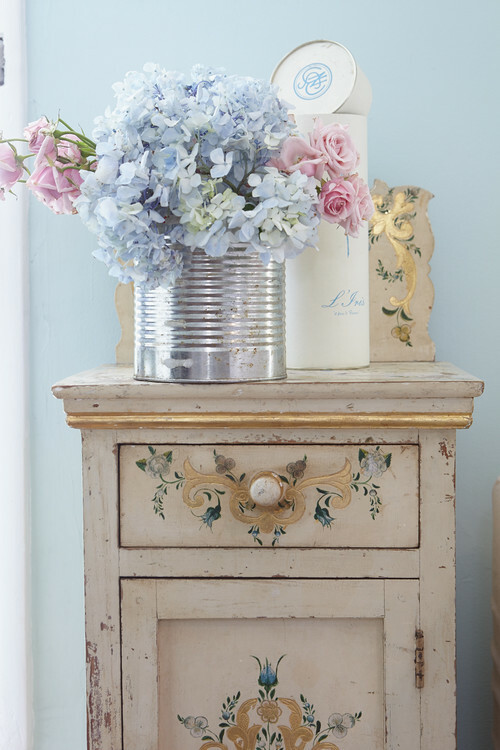 I think one of the draws to Shabby Chic is it is not ashamed to be pretty – and I like pretty! 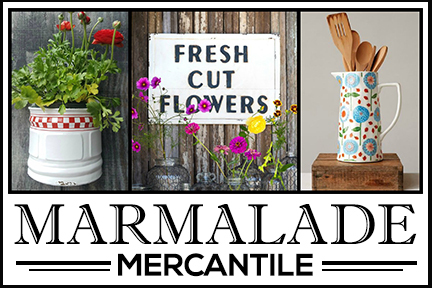 It does meld into some other styles – Romantic, French Country and Vintage just to name a few. I love the pretty look and have some shabby chic elements in my home like floral and botanical art, lace curtains, vintage china, and pretty fabrics However, I don’t have white slipcovers because I don’t think I could keep them on straight and no chippy furniture or faux distressing. Looks like farmhouse to me with a little bit of femininity. 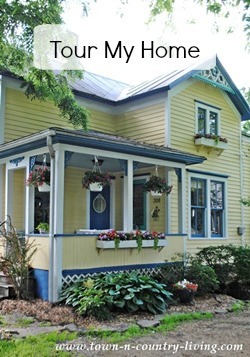 I do not like the ruffles much either, but take that away from these pics and you have farmhouse with French mixed in. Same look with a new label. I love vintage furnishings, but this goes beyond what I would be comfortable with – especially chipped paint and saggy slipcovers! Can’t imagine any woman deliberately choosing such distressed furnishings if she had another choice. I love it on a magazine and always used to watch Rachel’s show on TV. I think the style of decoration of a home is ‘how you feel comfortable’ with, surrounded by the furniture and elements you love and of course your partner; as my husband will not ever be comfortable, again, with such feminine style. I would love this maybe in a country home, as much as the farm style. Thank you for sharing. Loved this post. I love it thank you for sharing. It never gets old. I think everyone should have a touch of Shabby Chic in their house.Thanks these were great examples. I still have trouble blending some of my more traditional pieces with my shabby chic pieces. I also have a funny feeling about furniture with chipped paint. But one of the main things I like about shabby chic when it comes to furniture is I don’t have to be so fussy when I am refinishing it! No ruffles for me. But I do like the softer colors. Especially white with pastels. It can go with any design style. French country, Chic, or Contemporary. People should not bother with what everyone else thinks, but decorate with what makes them happy. How can you go wrong with that? Been doing the Shabby for years, Never gets old, Although II love the mix of Shabby Farmhouse all in one. I really love the Shabby Chic style of decorating. I was a big fan of Rachel Ashwell. 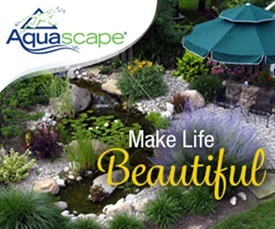 It is soft, feminine, bright, clean, fresh looking and very pretty style of decorating. It never out dates and it is a personal choice to have it or not! It’s like any other style, evolving over time with subtle changes. I don’t think it will ever go out of style. I have mixed feelings about the chippy furniture. I like a bit of distressing on pieces I have in my home, but when it looks really old, cracked, and peels, I draw the line. And I’m not a fan of the ruffles. 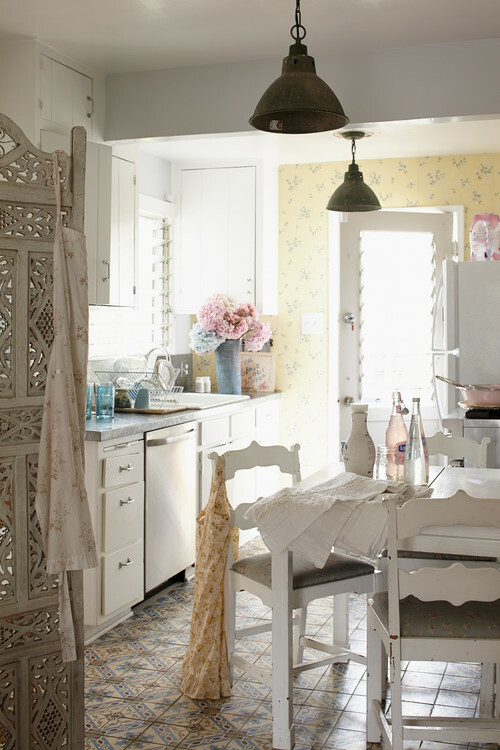 However, it does seem that today’s farmhouse style is very much related to shabby chic! Like so many others have said, you need to decorate your home with things that make you happy! I constantly attempt to go with a modern farmhouse look,but I also have to love that piece of farmhouse furniture or decor. 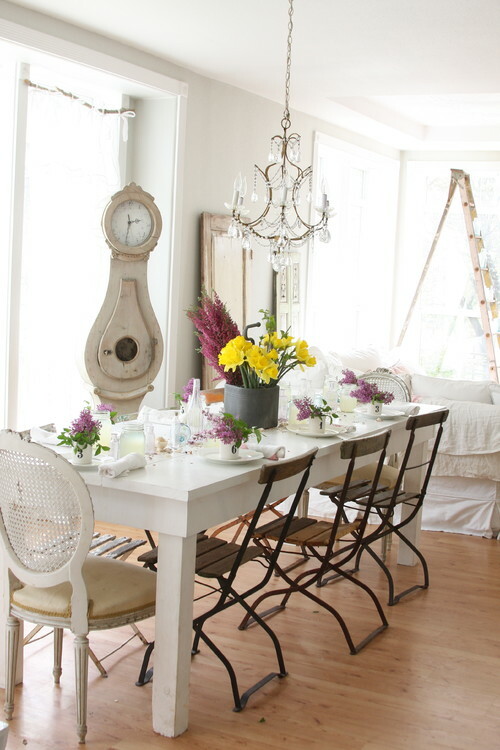 I’m shabby chic to my heart and can change the feel of a room simply by swapping out accessories. For me shabby chic will always be in although I do the more formal dark woods which reminds me of my grandmother’s 1920’s and 1930’s house….so comforting and homey welcoming. 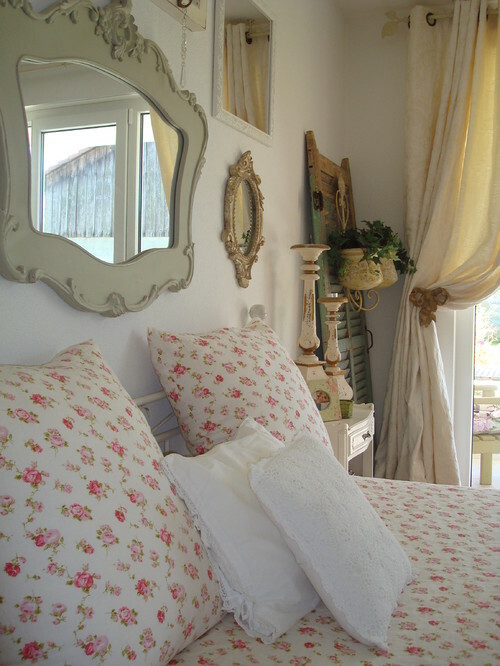 Shabby chic is such a practical, comfy style . there is nothing like slipcovers that can withstand pets, spills and be tossed in the wash,with a little bleach at the drop of a hat. Not to mention the coziness of big cushy soft white pillows in the morning, with a creamy cup of of coffee. 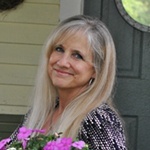 Shabby chic,yes blends with anything…farmhouse,french country,cottage,beach,even traditional,boho and many other styles. Its elegant or downright casual as a pair of ripped up jeans. 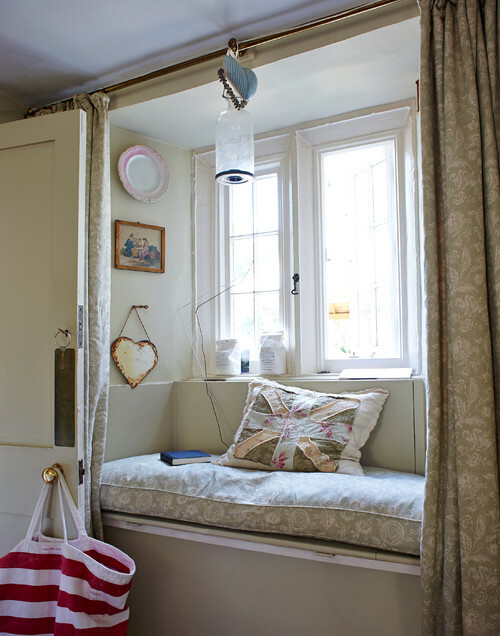 I dont think shabby chic is going anywhere .it will become one of our classics as far as style goes. Its just to comfortable and easy to not stand the test of time.